On July 20, 1969, a five year old me joined millions of others in watching those words being made reality. Not only did Apollo 11 send men to the Moon, it took television with it. On our black and white TV, my family watched from lift off until the astronauts were safe. 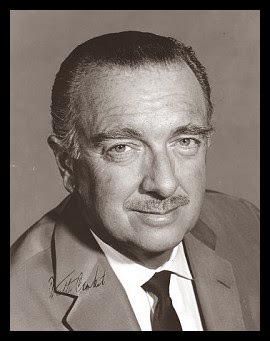 Walter Cronkite and the rest of the CBS reporters provided a near constant running commentary. These men who spent their early adulthood during the second World War knew that they were chronicling the better side of history. For that matter, even this small boy knew that this was an incredible moment. I had no context for how relatively soon in human history it was that men built a machine that flew under its own power. I had no idea how many people it took to make the Apollo missions possible. But I did now that it was a world away from life in my little (and I mean little) town in rural Georgia. But I could see that world from the same box that brought my Saturday morning cartoons. Over the years I watched the other Apollo missions. We even got a color TV somewhere around 1970. 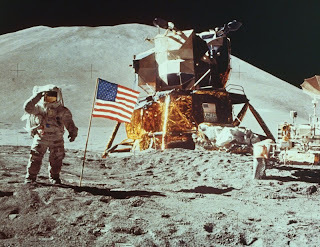 Nasa sent a dune buggy to the moon. There was Skylab, then Space Shuttles. I was a child of the Space Age. Science would continue to play an increasingly important role in our lives. I found that I enjoyed computers, so this rural boy became a man of technology. January 28, 1986 I was in Oklahoma City at a conference on Tinker Air Force Base. I’d just been commissioned as a Second Lieutenant when I graduated from college the Spring before, and I was four months into my first active duty assignment. 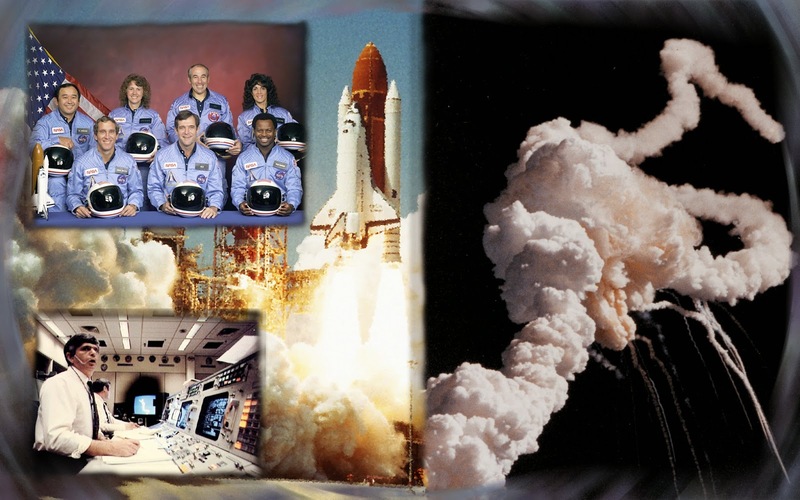 At 10:38 AM Central Time, the Space Shuttle Challenger disintegrated into a cloud of smoke and debris. Someone at the conference made the announcement to us. A little while later, I found myself eating lunch where a TV was broadcasting the news. The same medium that shared the news of successes with the space program had to show us this dark day as well. We all knew that space flight was dangerous. It was obvious from every time those giant rockets launched. We hadn’t lost astronauts after lift-off before but we did that day. Francis R. Scobee, Michael J. Smith, Ellison S. Onizuka, Judith A. Resnik, Ronald E. McNair, S. Christa McAuliffe, and Gregory B. Jarvis were gone. There wasn’t another Space Shuttle launch for two and a half years. TV was there to show the wonder and tragedy of scientific exploration; letting me see it with my own eyes and hear it with my own ears. TV would always push my reality beyond my own personal experiences, to at least as far as their cameras could take me. 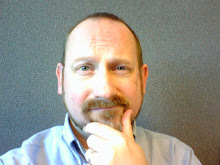 Richard Green is a system administrator of mainframe and Unix systems. He has been working with computers in one way or another since September 1985 (He will let you do the math since he is reminded enough how old he is). Richard has been reading comic books for as long as he has been able to read, which is significantly longer than that. 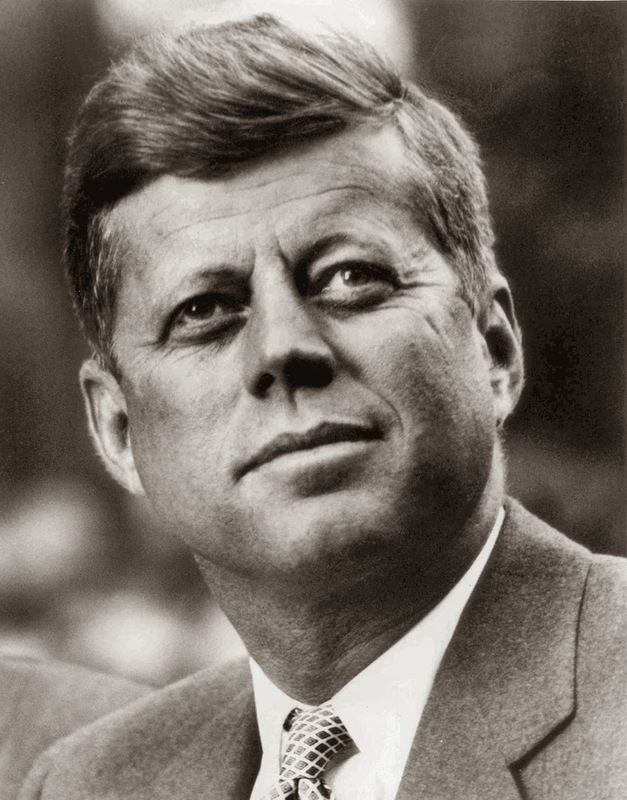 If his memory were better, he would be considered a comic book expert. Richard has always enjoyed science, science fiction, history, historical fiction, math, and mathematical fiction. His wife, Jan, has had to put up with his geeky ways since 1997. His daughter, Rachel, has been fortunate to only have had to do so since 1999. If you go to DragonCon you can look him up, ... or avoid him; whichever is best for your personal mental health. Richard is the podcaster behind the "Geek Out! with Mainframe" podcast at http://geekoutwithmainframe.com (It was a Parsec Finalist in 2011, due to the awesome people he had the foresight to interview). The podcast has been on hiatus, but he's been getting requests to start it back up again. He has written a few short stories over at the "Every Photo Tells" podcast and he's way overdue to write another one. During November 2011, he wrote his first novel for National Novel Writing Month. If we are all fortunate, it will not see the light of day. Finally, Richard likes self-deprecating humor, but considers himself rather poor at it.